The Cat Tree Miami 245cm brings the exotic lifestyle of the Miami beach to your homes living room! Yes, this gorgeous floor-to-ceiling cat tree is ‘hip’ from head to toe and has been equipped with everything even the fussiest of felines could ever demand. 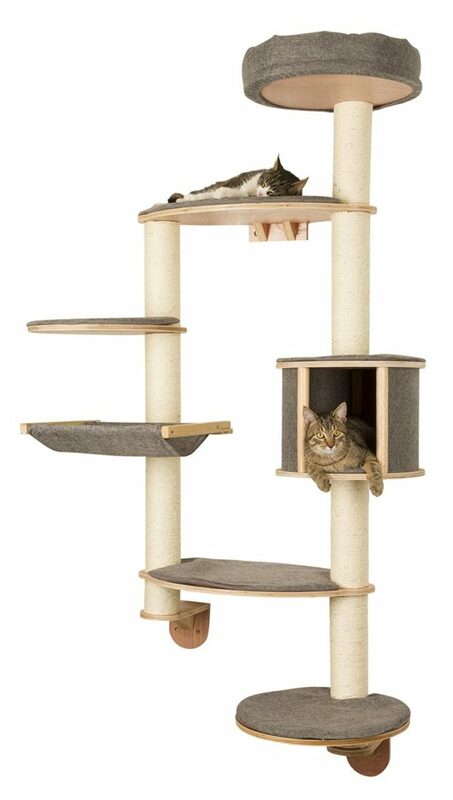 This cat tree has several sleeping caves, ladders, hammocks and much more to ensure your feline always has a place to relax whenever they need. Due to the high quality, strong and sturdy construction, the Cat Tree Miami 245cm is incredibly secure and stable to allow a care free playing experience for both pet and owner. The ceiling fixture provides extra support and this at tree is puurfect for homes with multiple felines as there is more than enough room for them all the enjoy everything that this gorgeous cat tree has to offer! The Cat Tree Miami 245cm comes is a variety of colours so you can pick the puurfect tree to suit your tastes and your homes decor as well.